Could we be close to a confrontation with Jonathan Morgenstern on an upcoming episode of Shadowhunters? 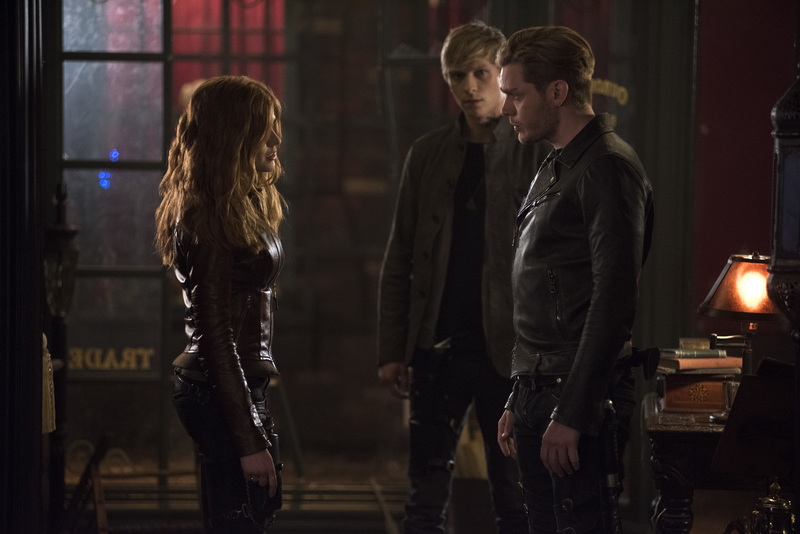 Freeform has released a brief synopsis and photos for episode 17 of Shadowhunters season 2, titled “A Dark Reflection,” which finds Clary concerned that her brother is evil when it appears he’s searching for the mortal mirror for Valentine. The photos feature Clary, Jace, and Sebastian interacting, as well as some beautiful Sizzy photos! The episode airs Monday, July 24.